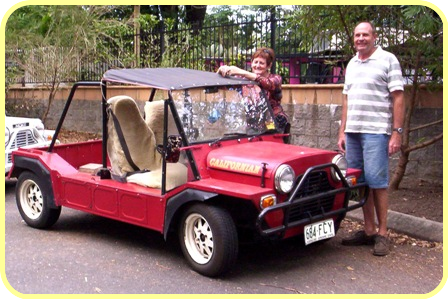 Max Lincoln's enthusiasm for his Moke and all Mokes lead him to a decision to inaugurate gatherings of Moke owners and their Mokes from in and around Cairns in far north Queensland . During his drives around that fair city he had seen lots of Mokes and saw no reason why every now and again Mokees couldn't be brought together for a chat. They must have many a fine story to relate to their fellow Mokees.And so a date was set for a get-together. Max pursued sometimes at high speed, every Moke he saw in Cairns. Having got them to stop, sometimes after quite a chase, he presented the driver with the ground breaking news of the meeting. And ground breaking it was as no one before Max had seen the potential for Moke gatherings or if they had they hadn't bothered to do anything about it. Max was very bothered and decided to make the effort and do something. 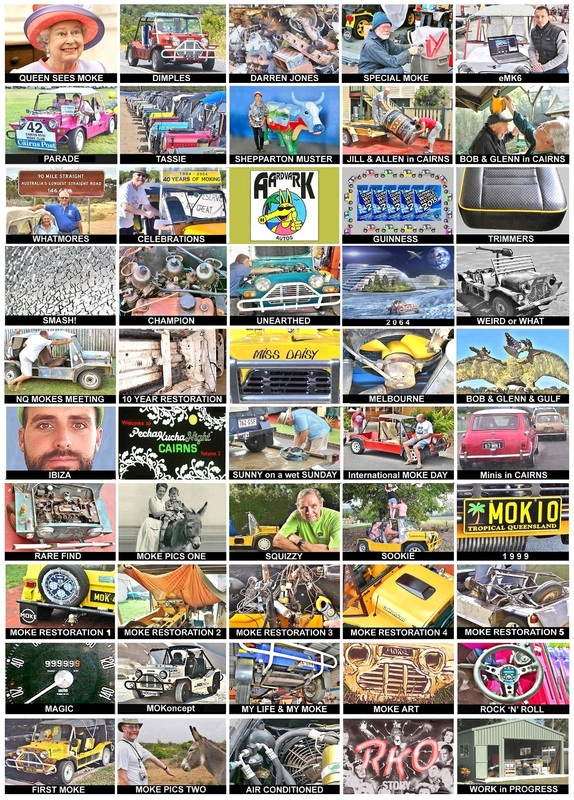 International Moke Day (IMD) is a worldwide phenomenon which is gradually becoming accepted by all Moke owners as the main day of the year to show off their Mokes. Inaugurated in Australia by Terry Pollard, IMD is now celebrated in many countries including the U.K., U.S.A., Canada, France, Spain, South Africa and Island nations such as St. Kits and Nevis to name a few . It wasn't then by chance that Sunday 27th September 2009 (IMD) was chosen for this inaugural meeting which saw a gathering of 6 Mokes. Holloways Beach Tavern by the side of the Coral Sea proved to be an idyllic spot where much Moke talk transpired and much beer quaffed. It was agreed by all in attendance that this great get-together should be repeated, if only spasmodically initially, as a beaut time was had by all.